Since a few months I see them everywhere on Instagram: colorful yarn cakes. Many brands jumped on the bandwagon and started selling beautiful color combinations. 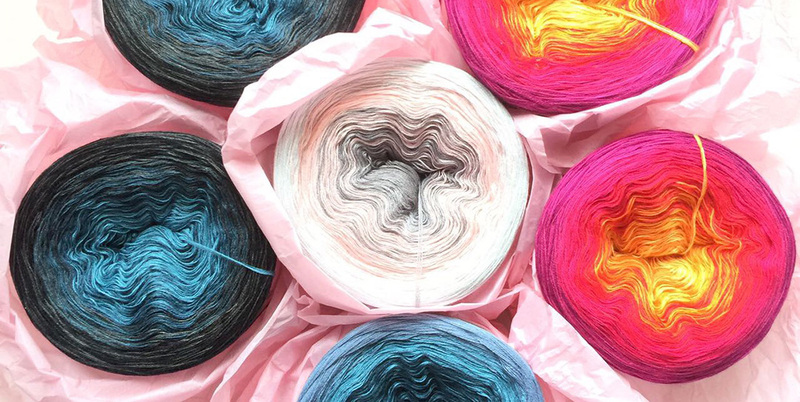 Most yarn cakes have a length between 700m and 1000m which is enough yarn for one big project. For example, I only used one yarn cake for this big southbay shawlette and one yarn cake for this Sophie’s Garden XXL pillow. Yarn on picture: CottonFlowersYarns. These are 3ply and length 1000m. What I like most about yarn cakes is the subtle colors change. This creates a stunning effect on the final piece of work. 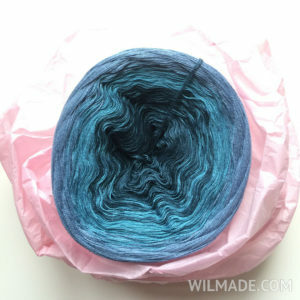 In general yarn cakes are quite expensive, most of them are about $20 each, but as you will only need one cake for one project – and considering the amazing color change effect-, I definitely find it worth the money! 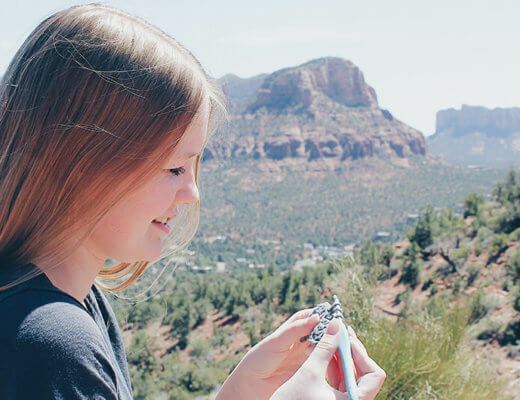 The brands that I have tried so far are Durable Colorful, which is only sold in Europe, Katia Summer Rainbow, also only sold in Europe, and CottonFlowersYarns, sold on Etsy and shipping worldwide for free. Below you can find some picture of the current color combinations I am working with. These yarn cakes are from a German seller on Etsy. Click on the picture to go to the Etsy shop where I bought my yarn. 30.000 followers on Instagram: giveaway time! Hi! I LOVE your Bella Vita shawl and the Cottonflowers yarn cakes. I’ve already made one for my mother-in-law and it looks gorgeous! 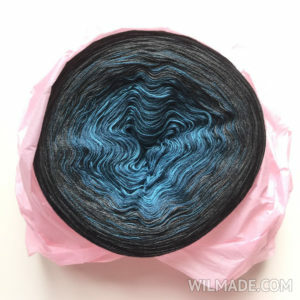 I had bought two yarn cakes from the Cottonflowers Etsy shop at the end of September in order to make two more shawls for Christmas presents, but they were never shipped and now that the shop is offline I have no way of getting in touch with the owner about the status of my order. I have tried messaging and emailing her through Etsy without any response. I was wondering if perhaps you could help me get in touch with her? Thanks! 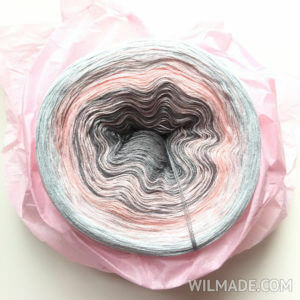 It seems the links to etsy store for Cottonflower yarn no longer work – do know if this yarn is no longer available? 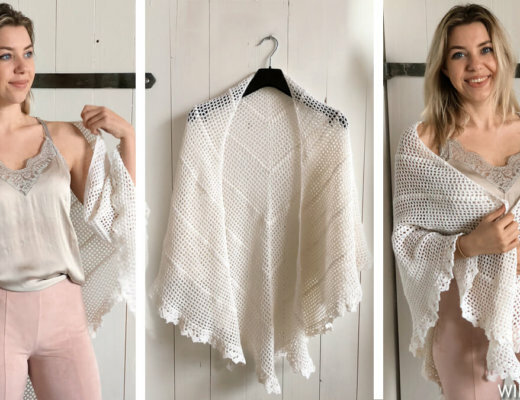 I really wanted to make the Bella Vita Shawl I just came across. 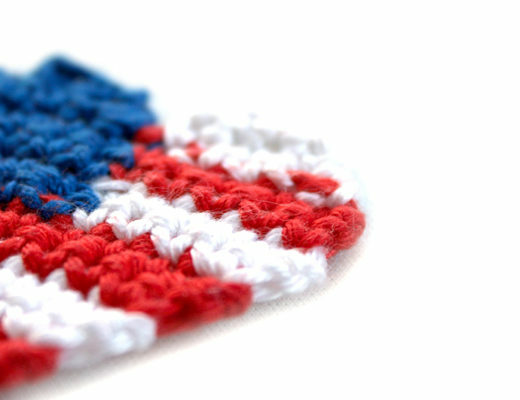 Hey hey, I contacted the seller and she told me the yarn will probably be back online tomorrow/ soon. 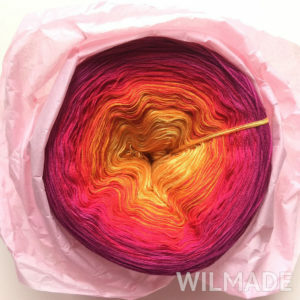 Hi Jenni, the yarn that I bought is offline at the moment but will be back online asap – will keep you updated!